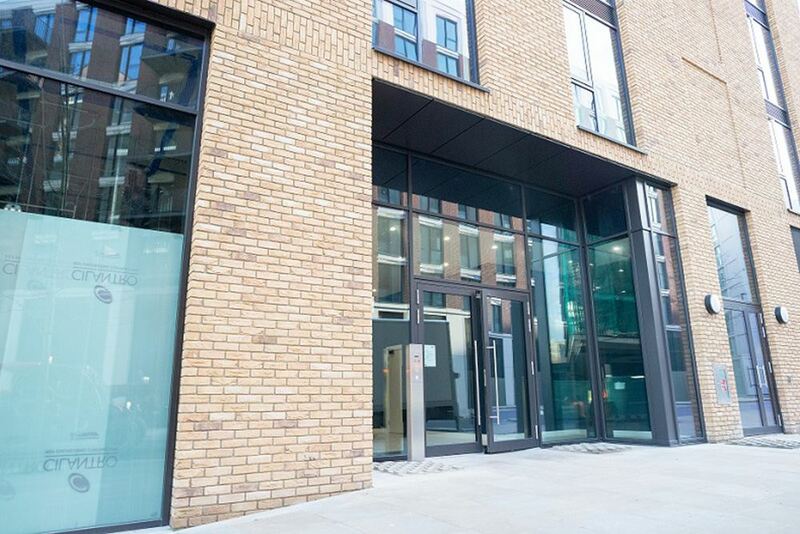 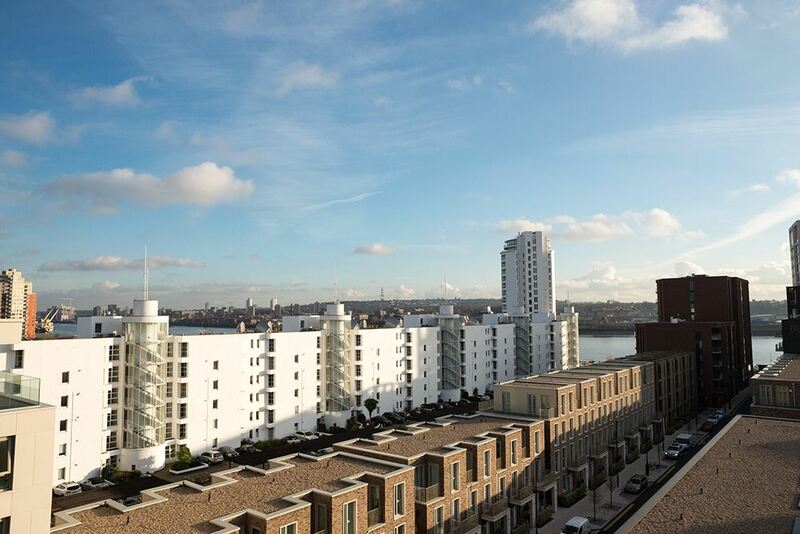 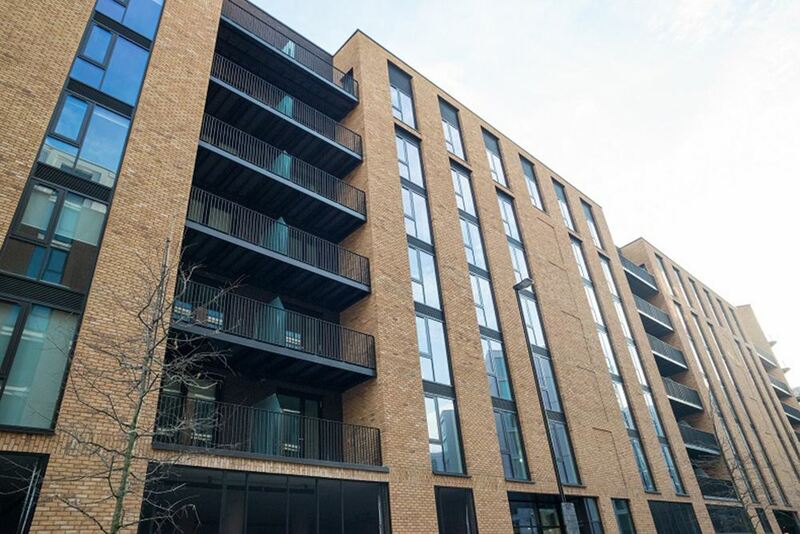 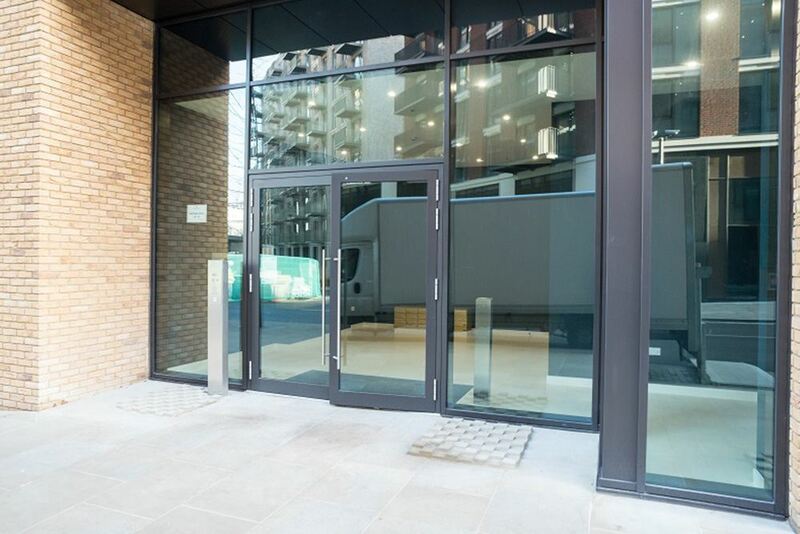 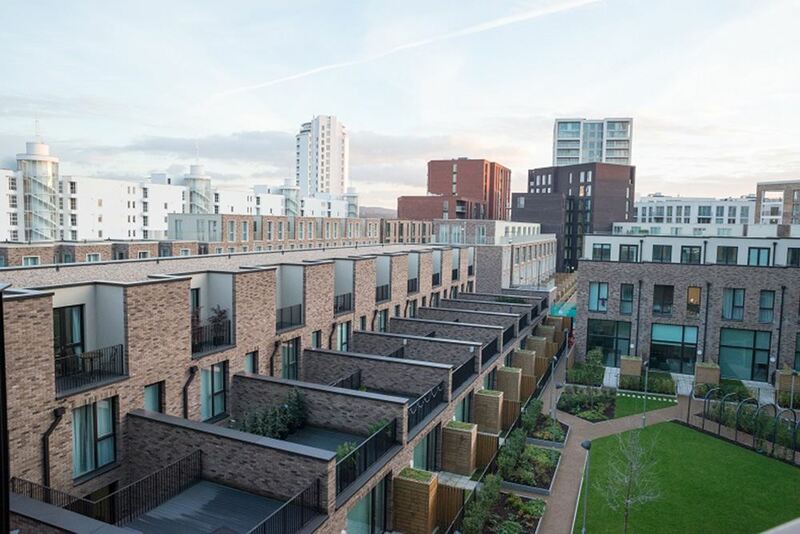 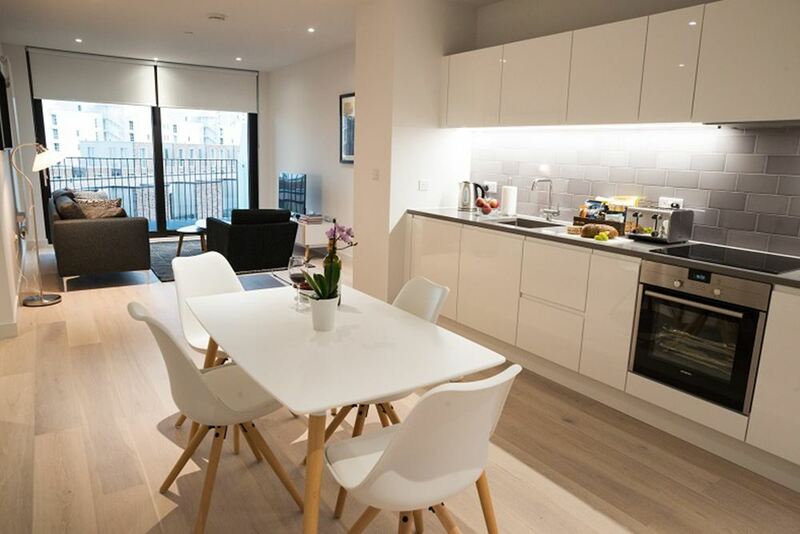 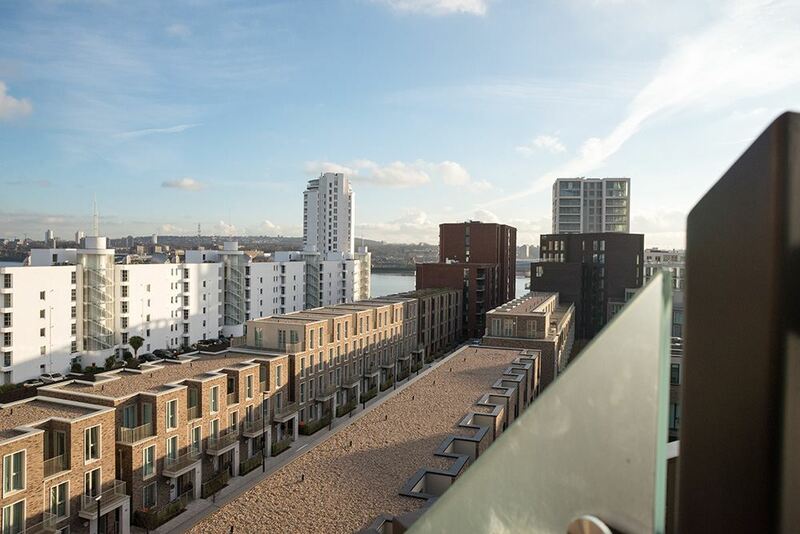 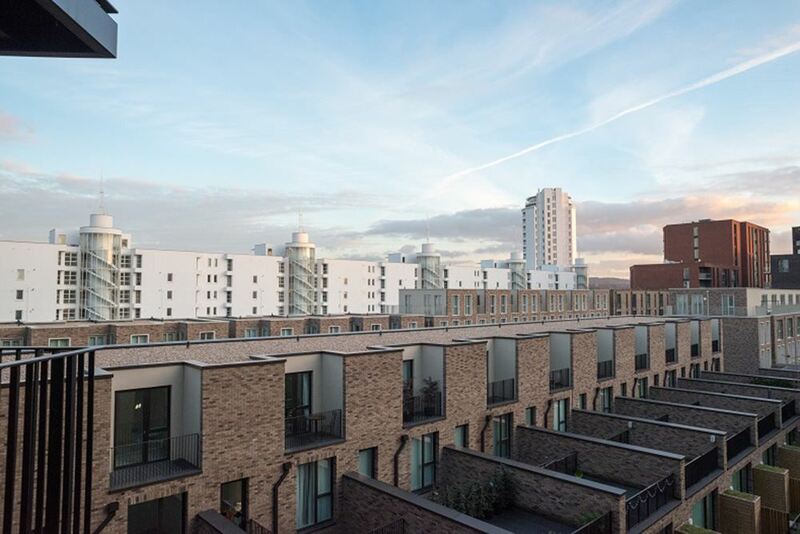 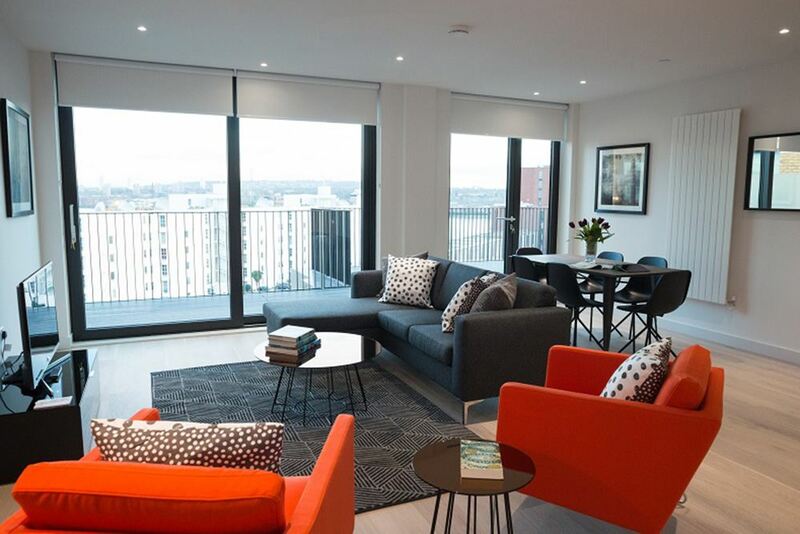 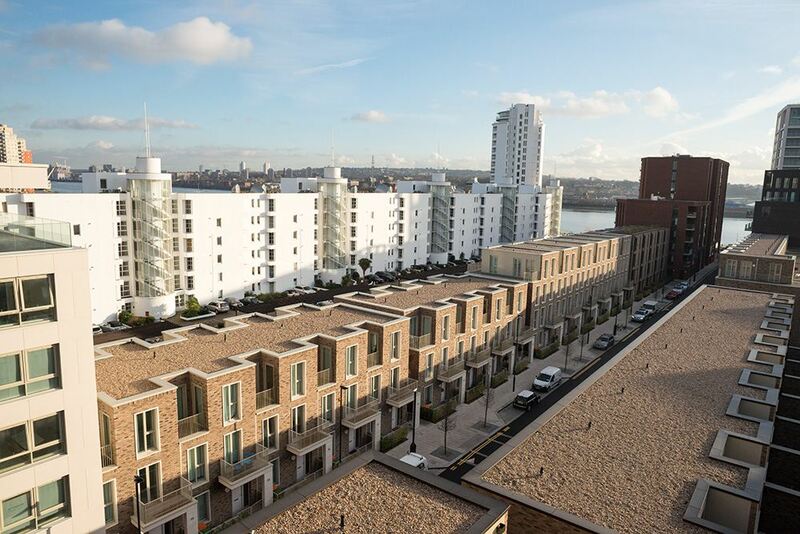 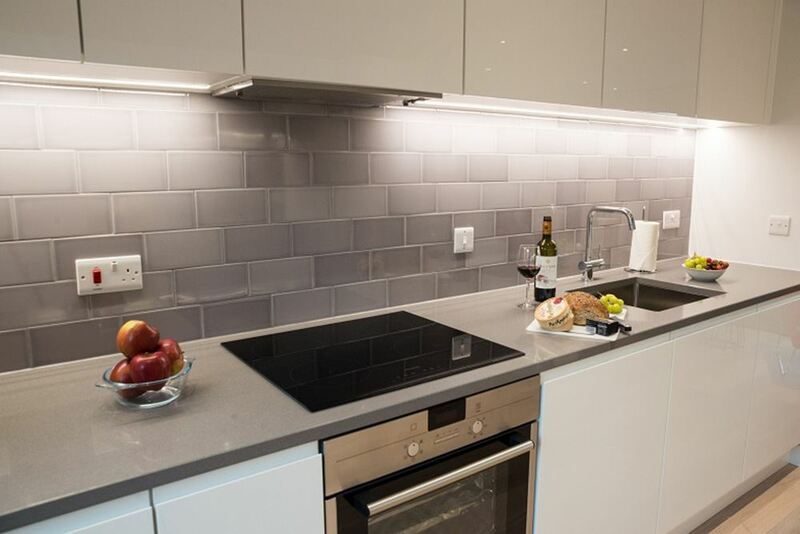 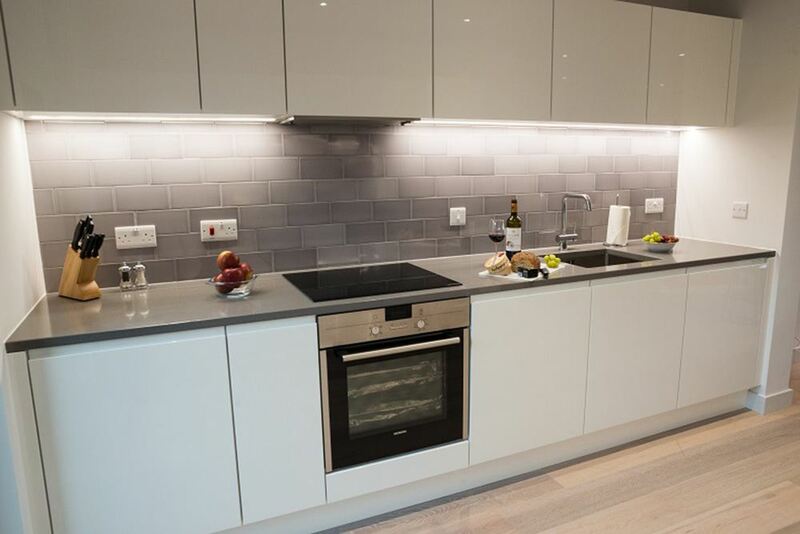 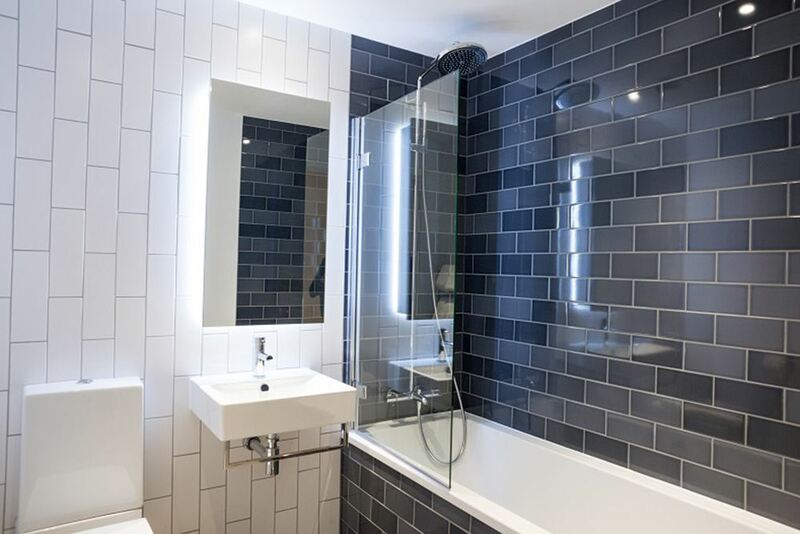 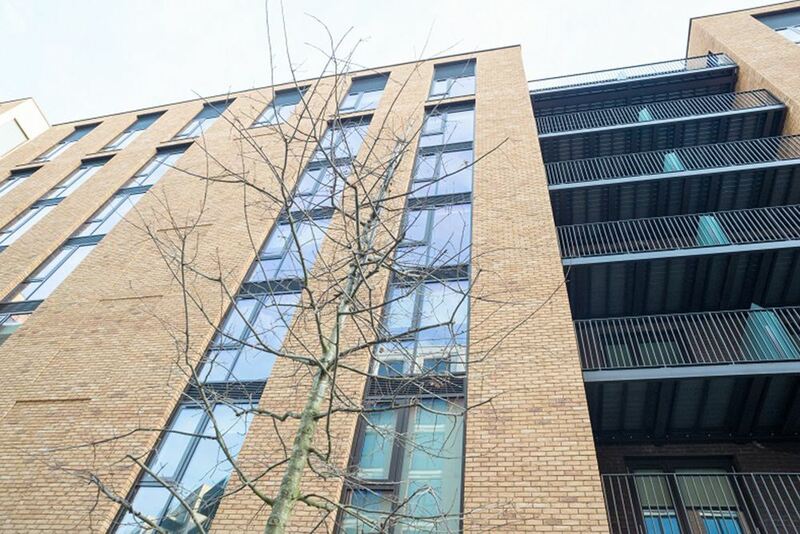 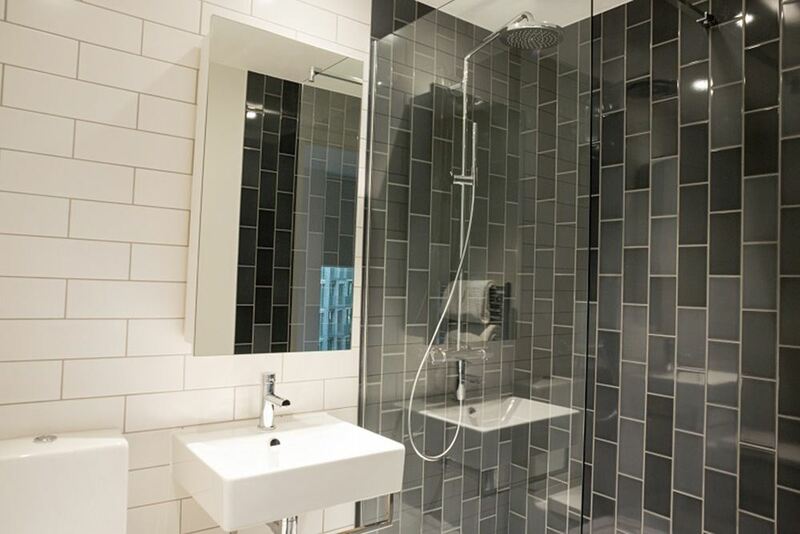 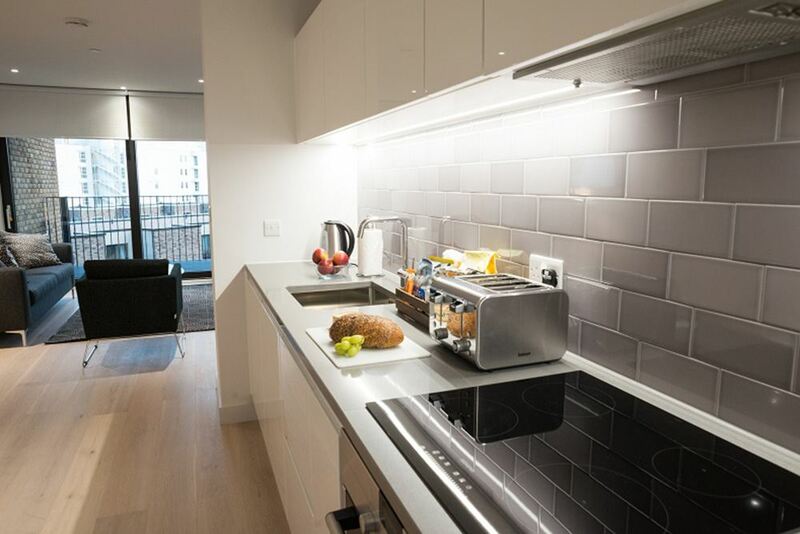 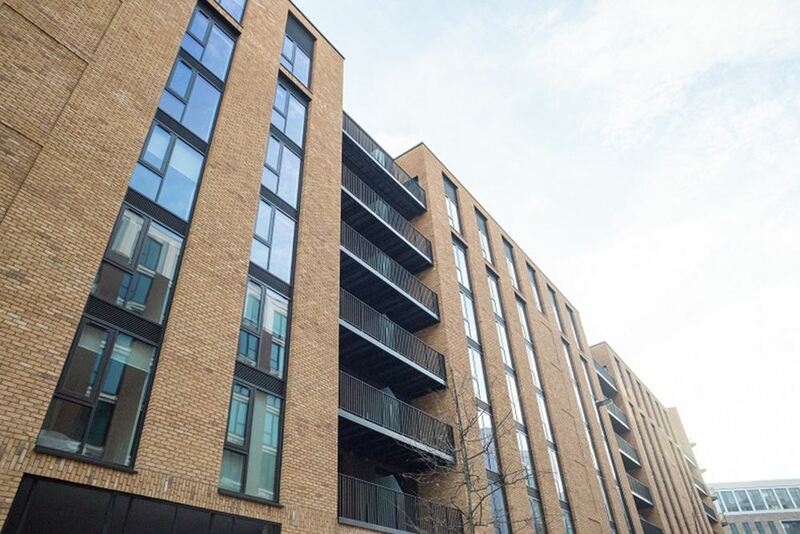 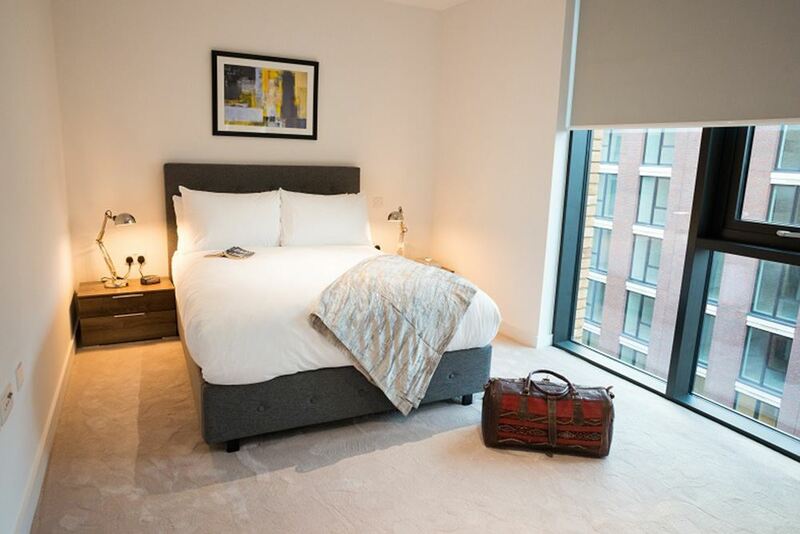 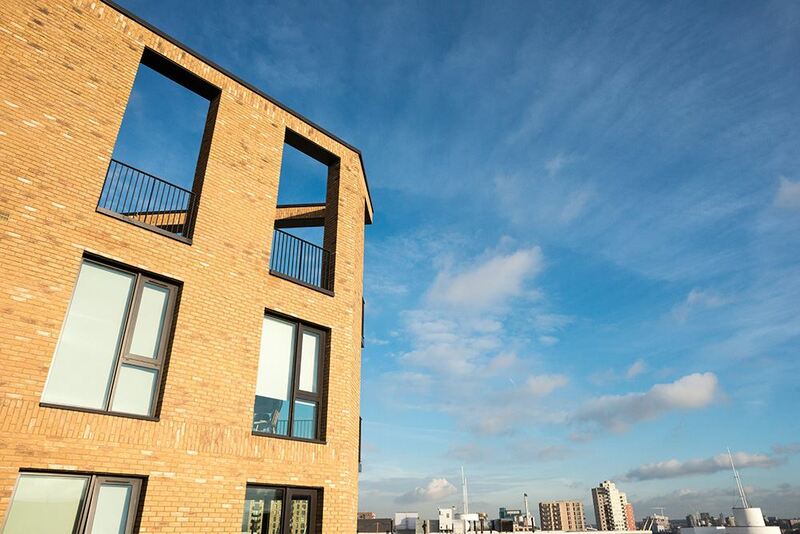 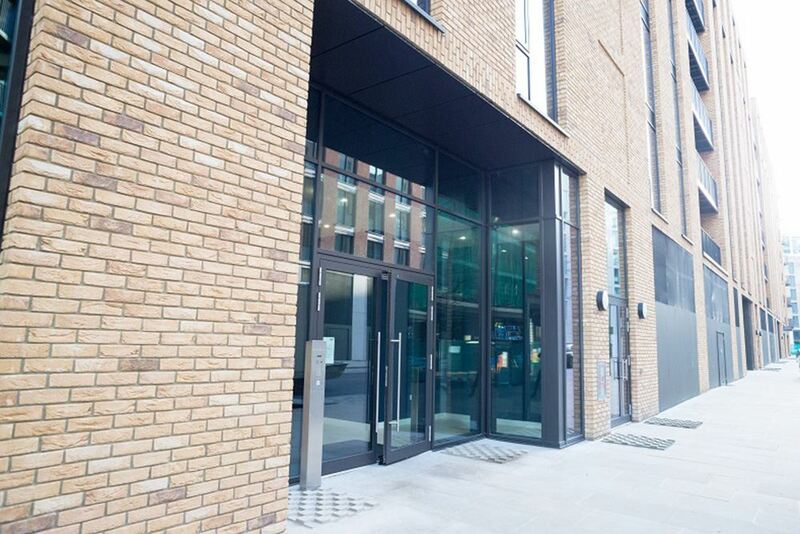 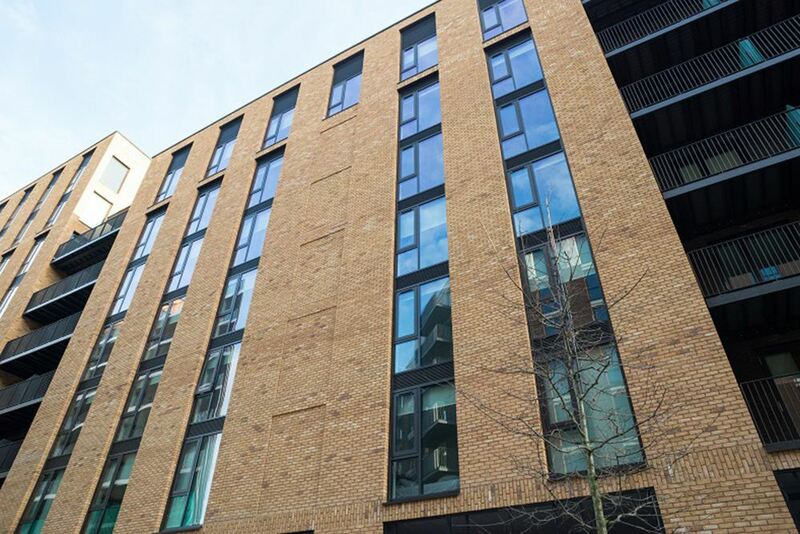 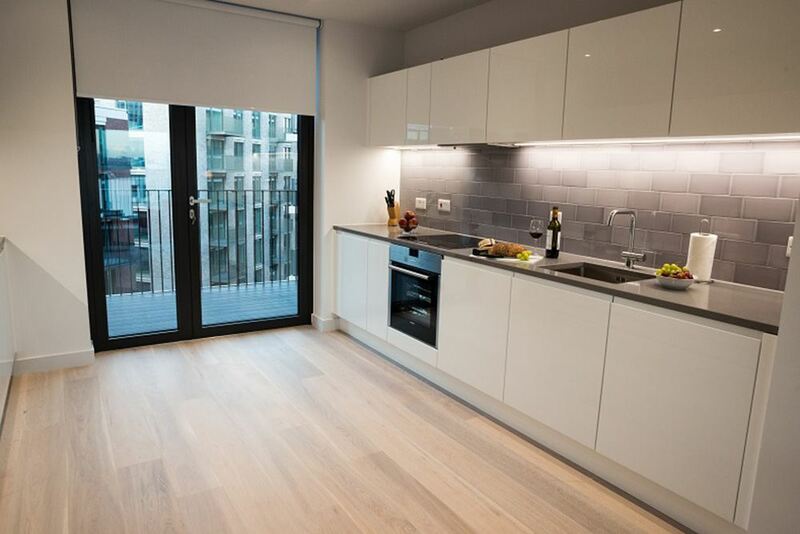 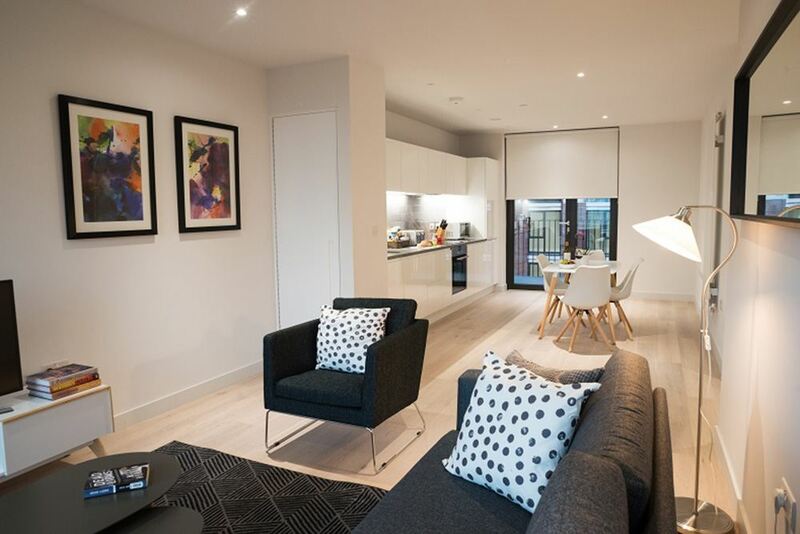 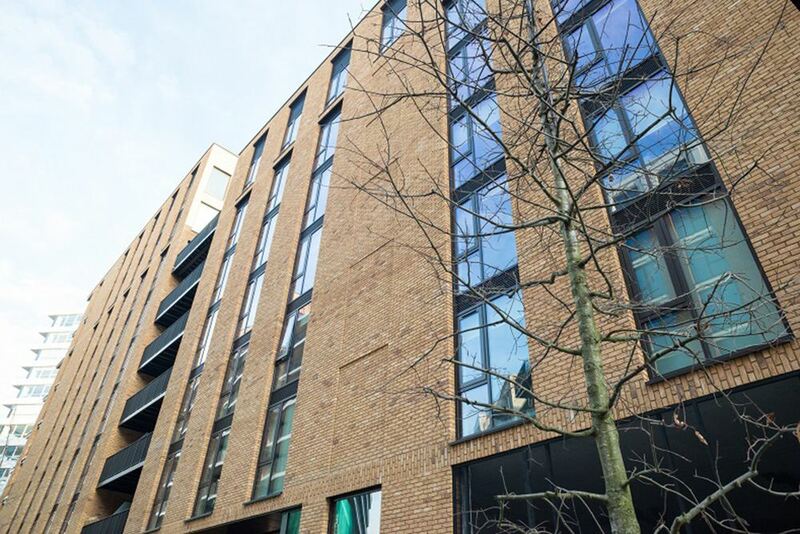 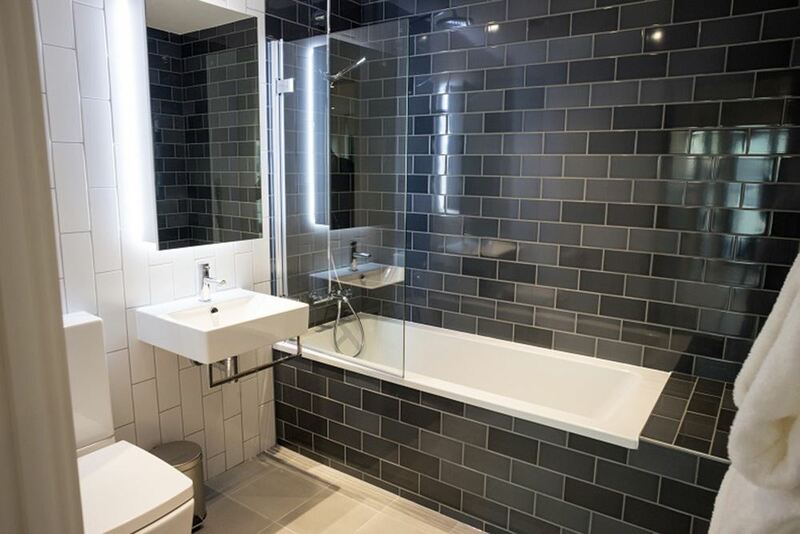 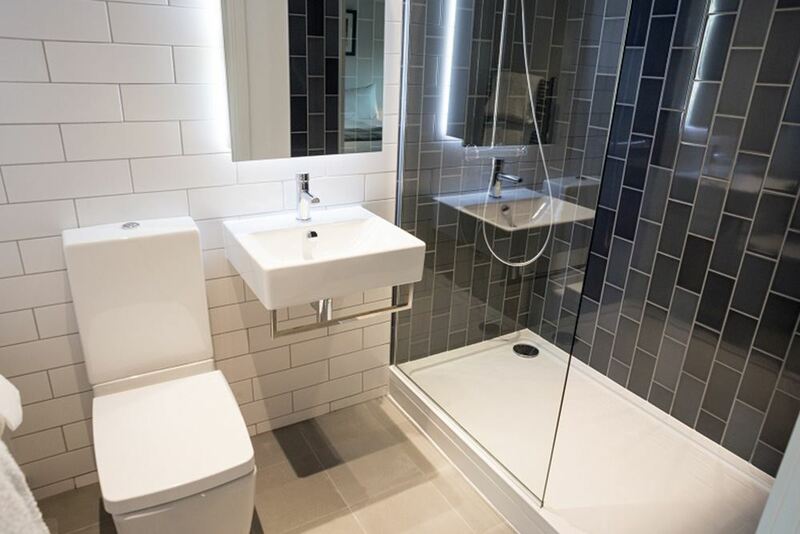 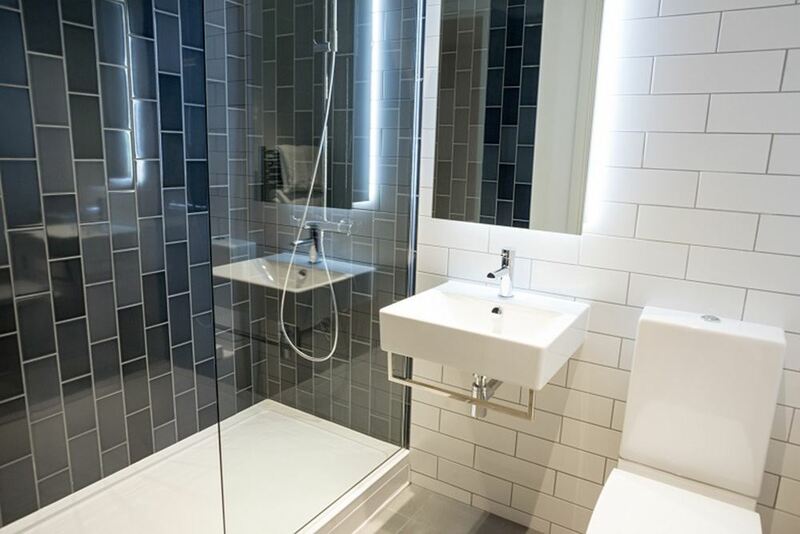 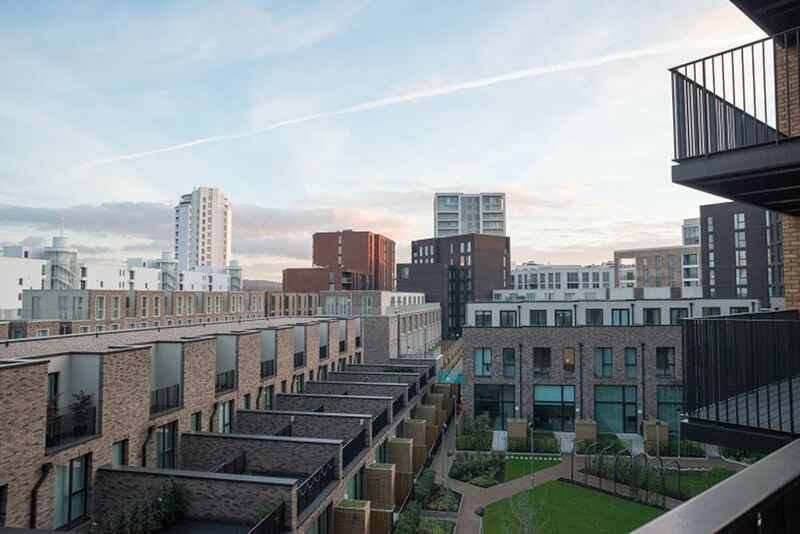 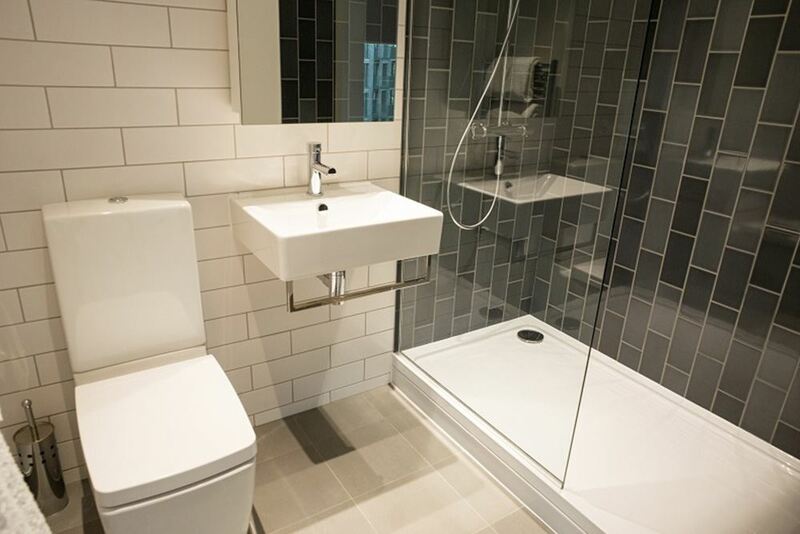 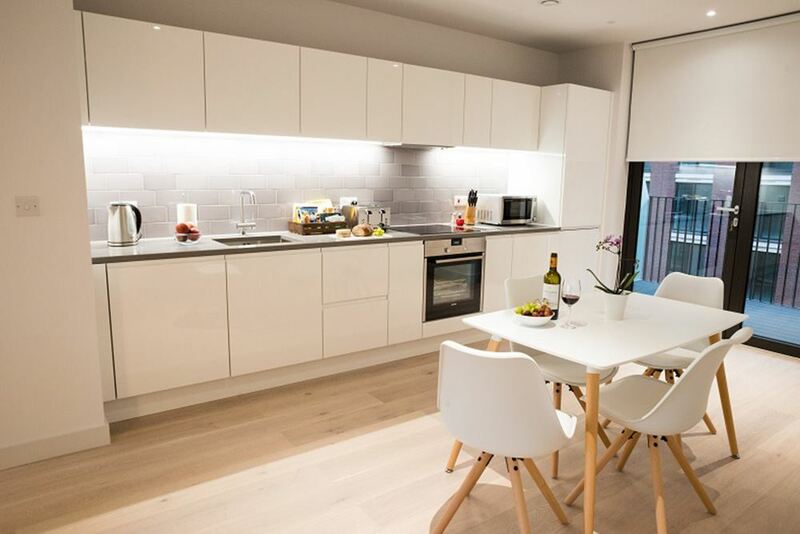 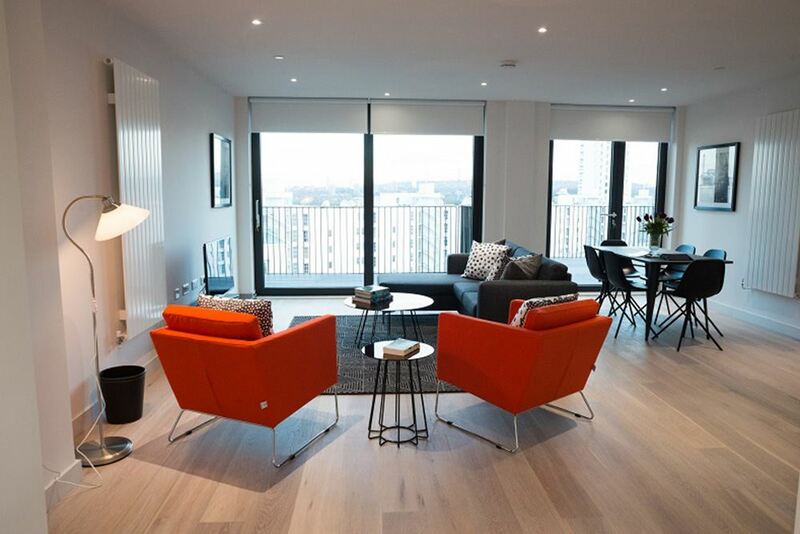 Masthead House Apartments are located a close commute from Canary Wharf and just..
Masthead House Apartments are located a close commute from Canary Wharf and just one stop from London City Airport on the Docklands Light Railway network. 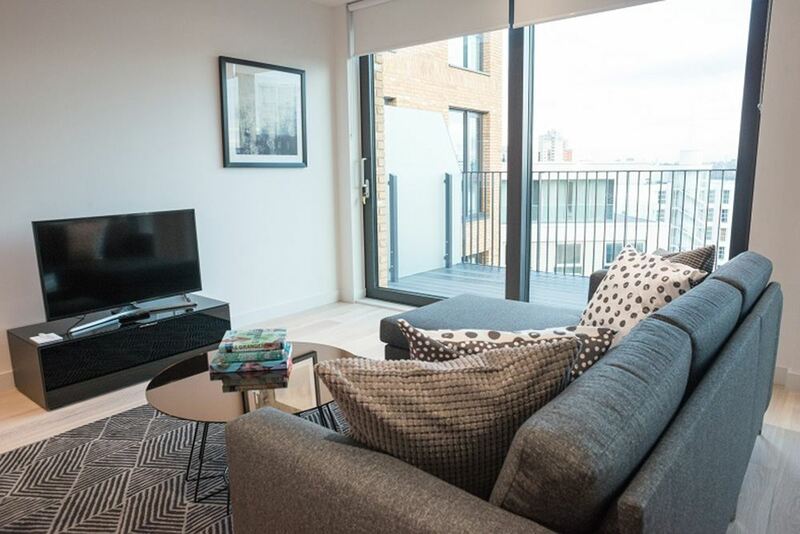 The nearest station is Pontoon Dock which is only 22 minutes to London Bridge Station or 25 minutes to Tower Bridge Station. 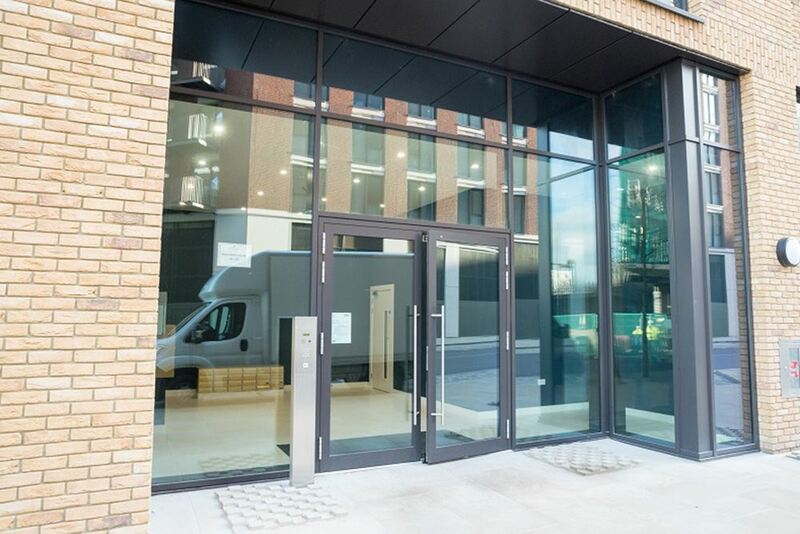 There is a Sainsbury supermarket and Starbucks in the development and gardens as well as local amenities within walking distance. 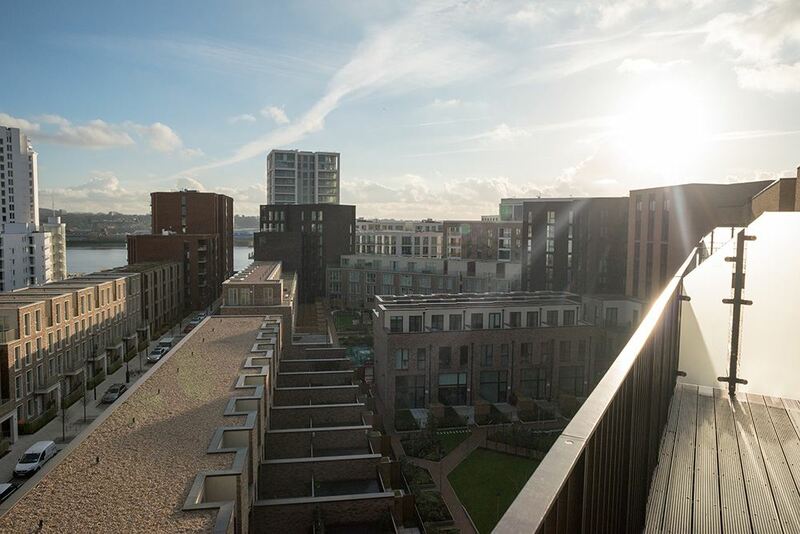 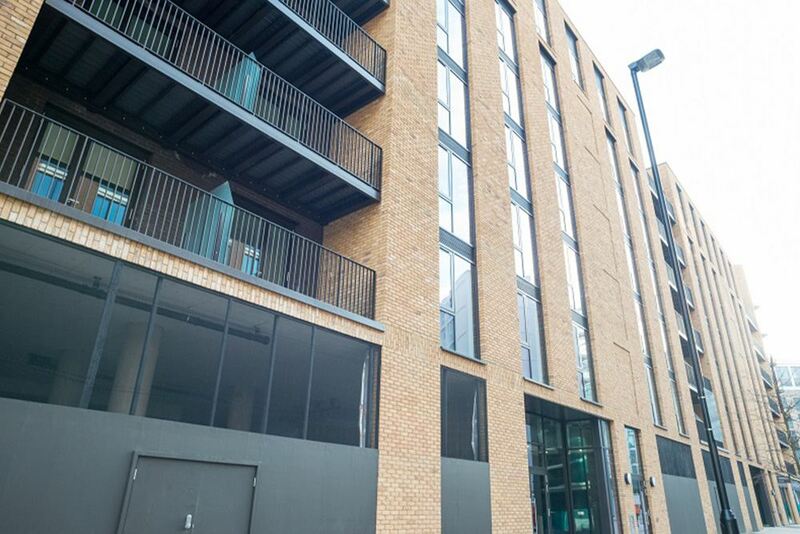 Canary Wharf and North Greenwich, which is home to the O2 Arena, are easily accessible from this location with a wide choice of entertainment, riverside bars, restaurants, designer stores, high street shops and head offices. 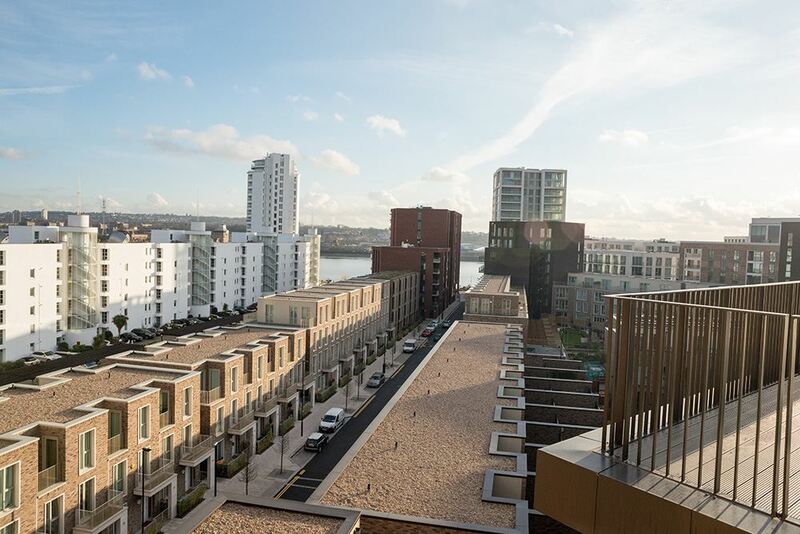 Other attractions in the area include the ExCel Centre and National Maritime Museum. 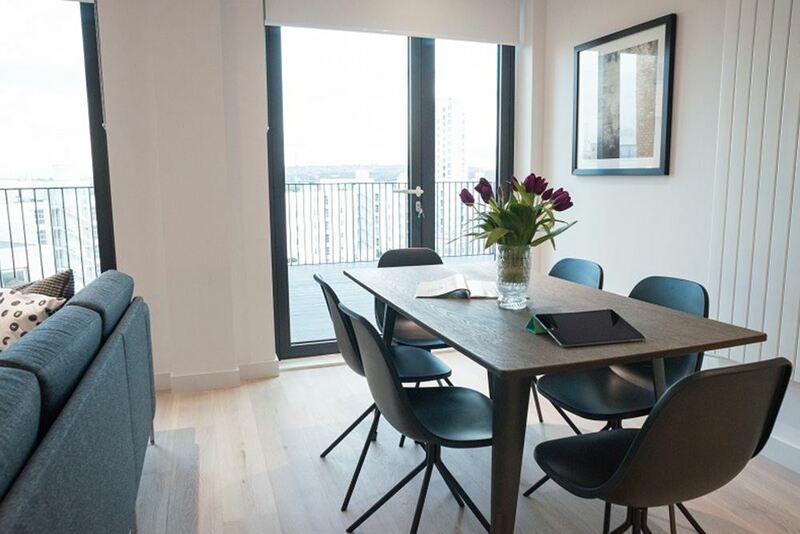 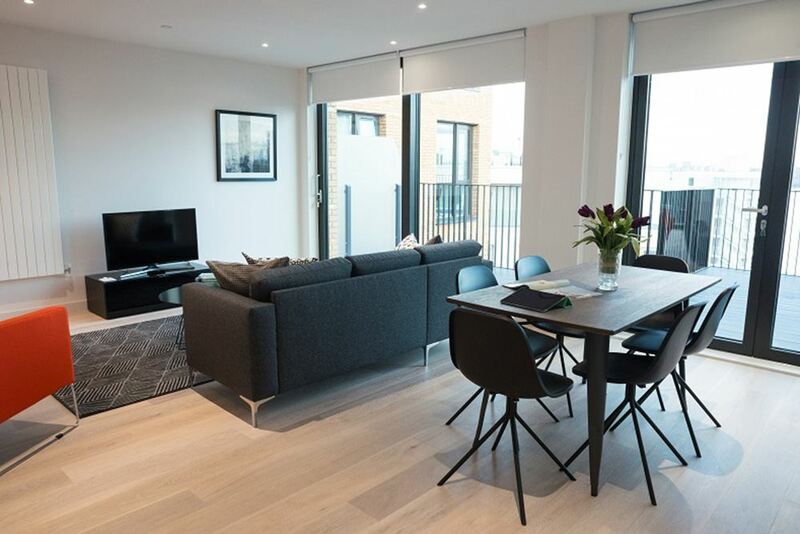 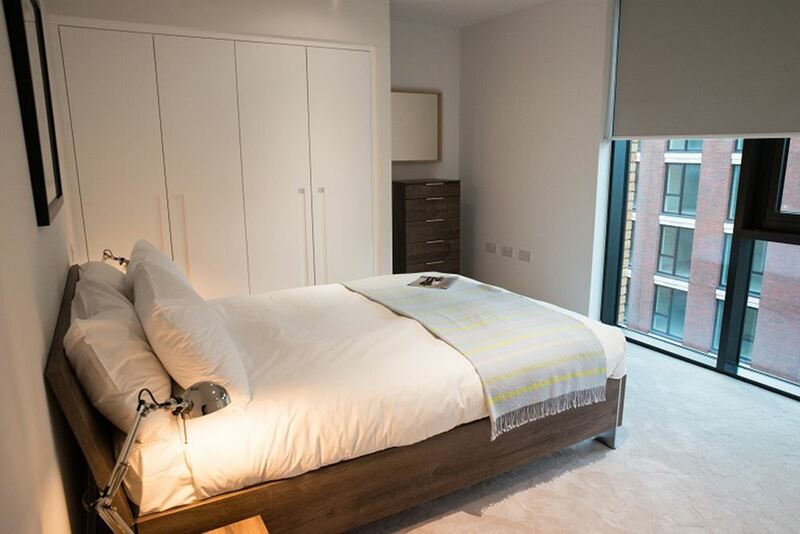 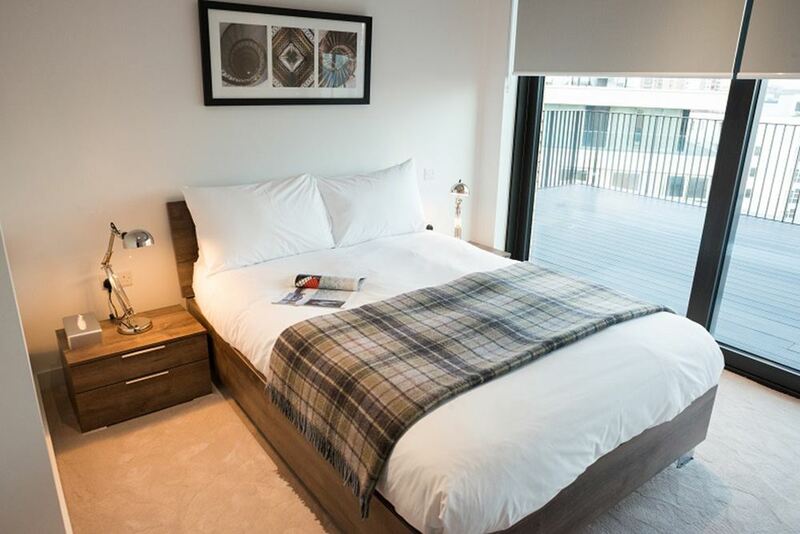 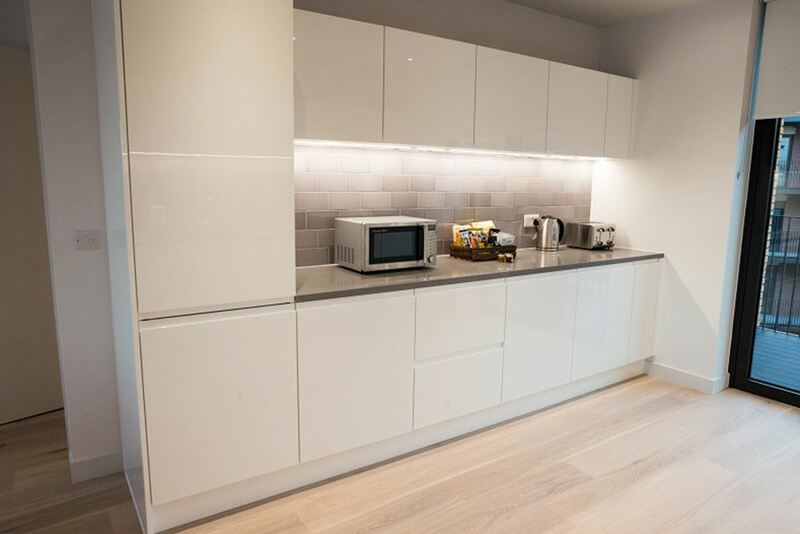 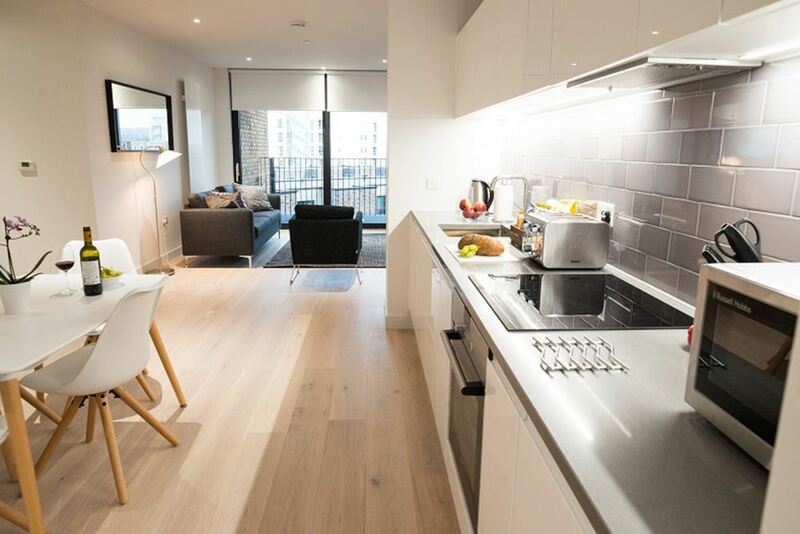 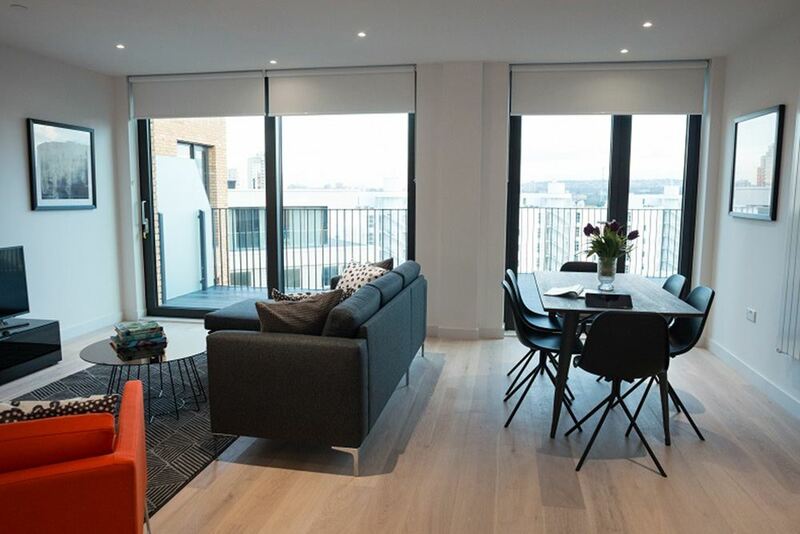 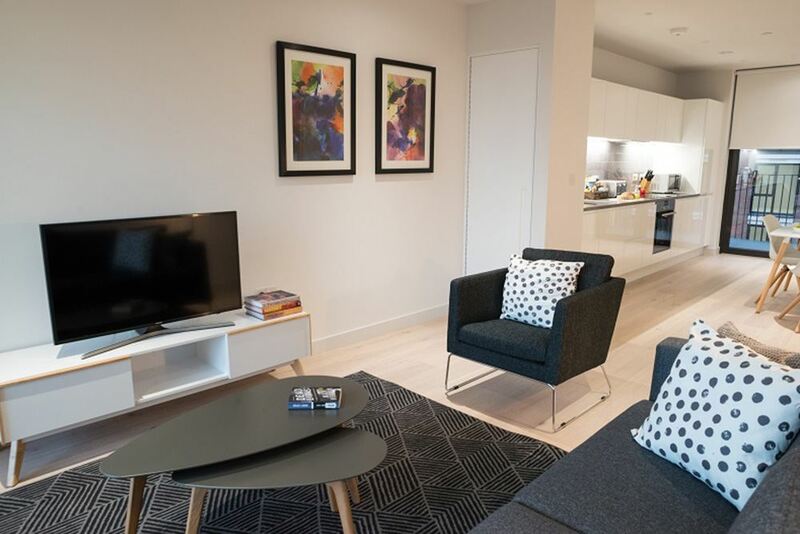 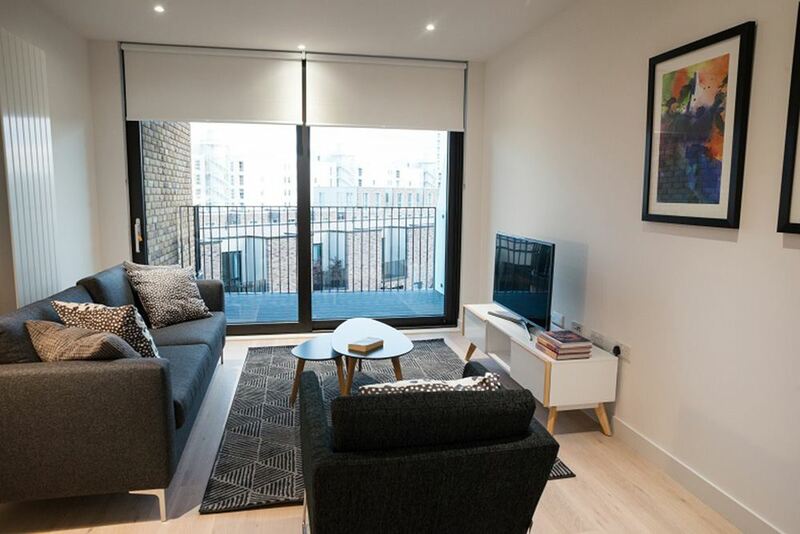 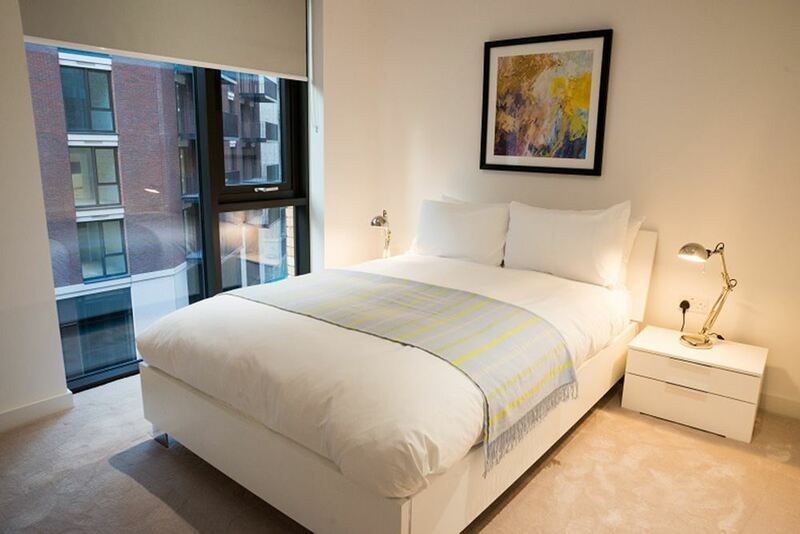 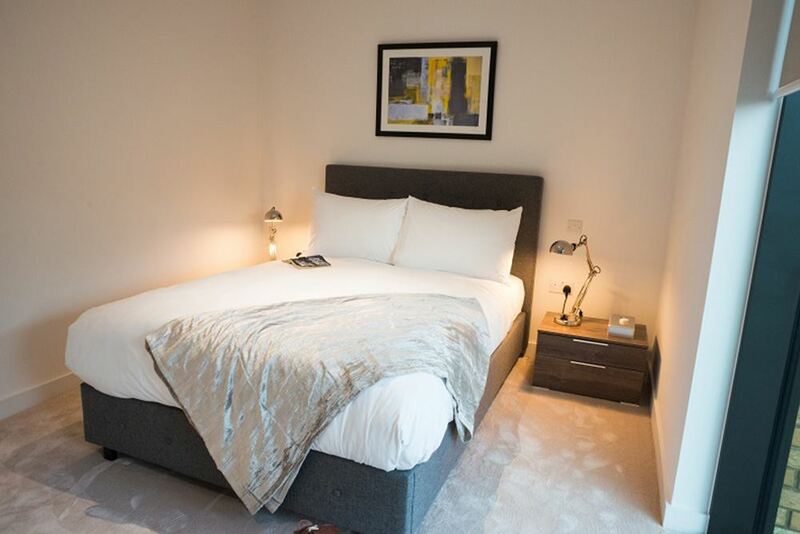 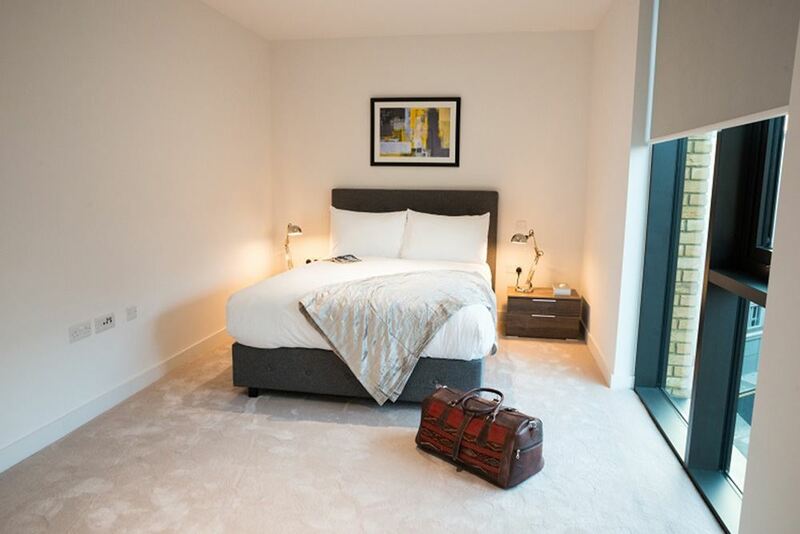 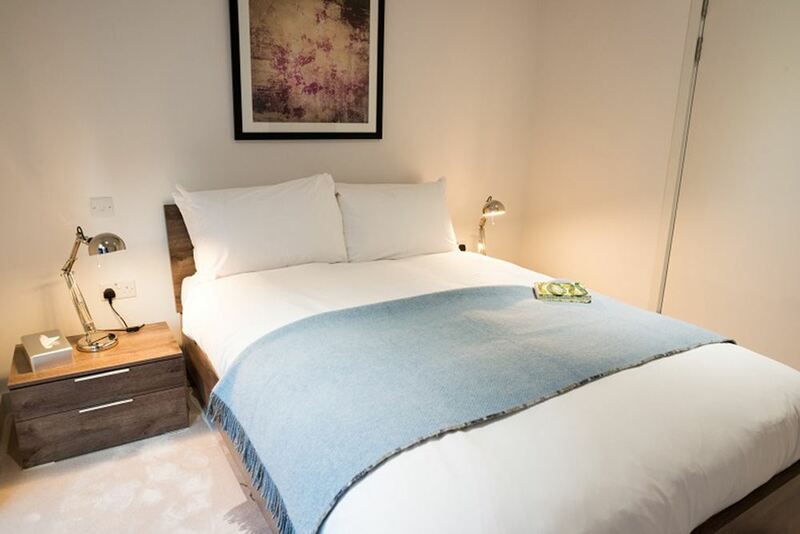 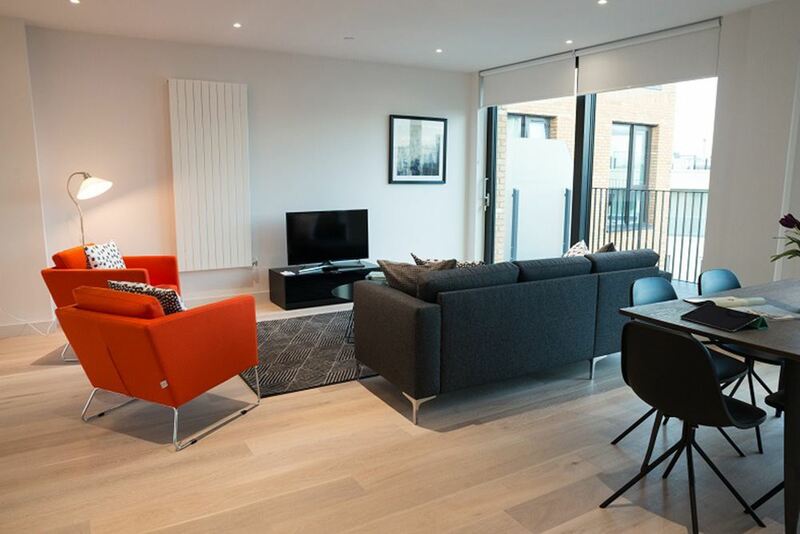 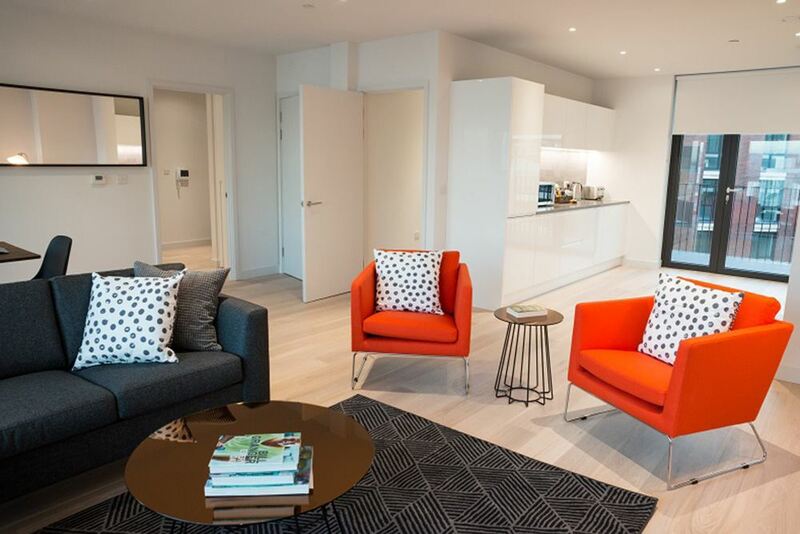 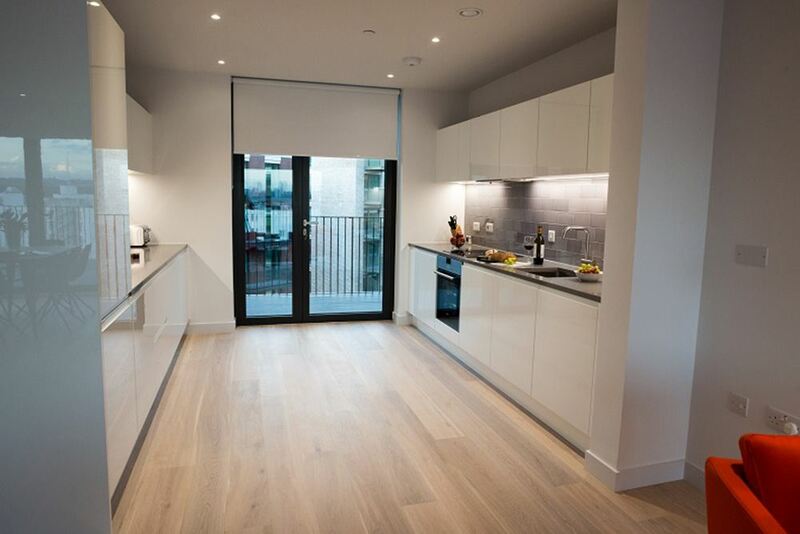 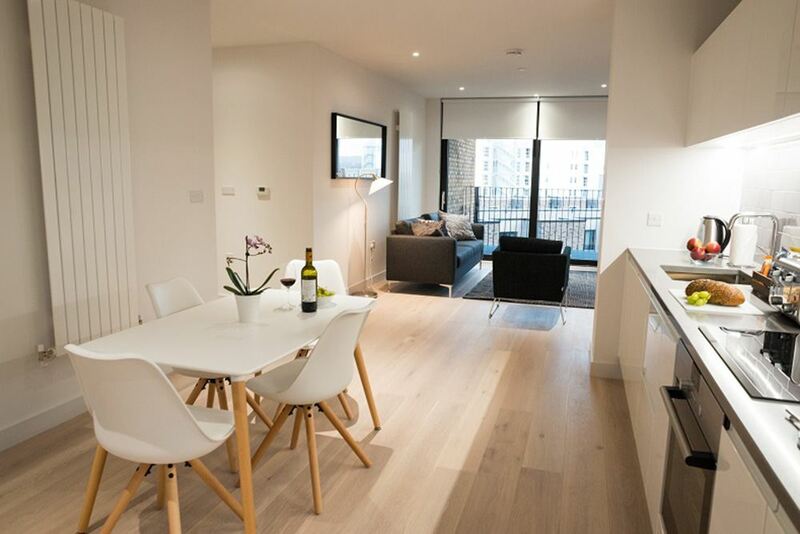 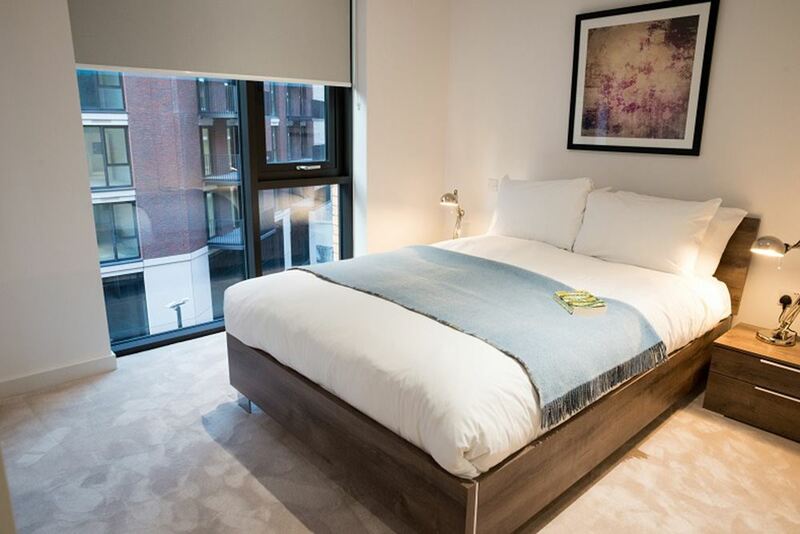 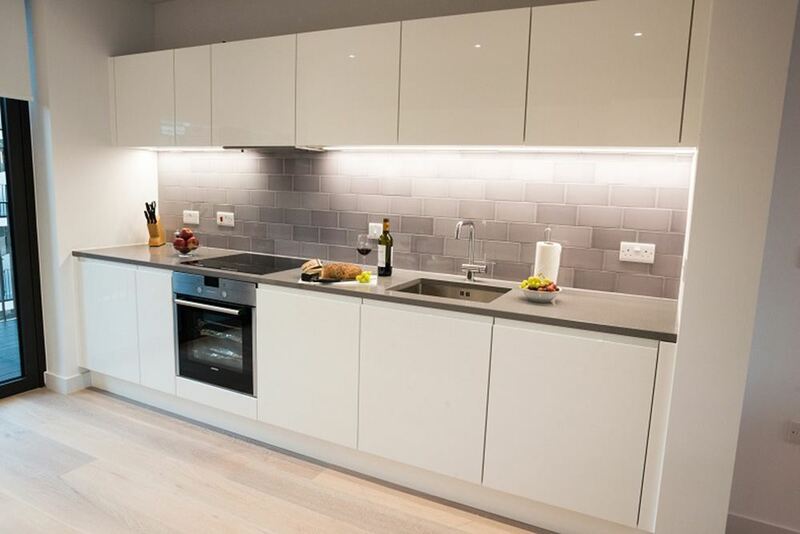 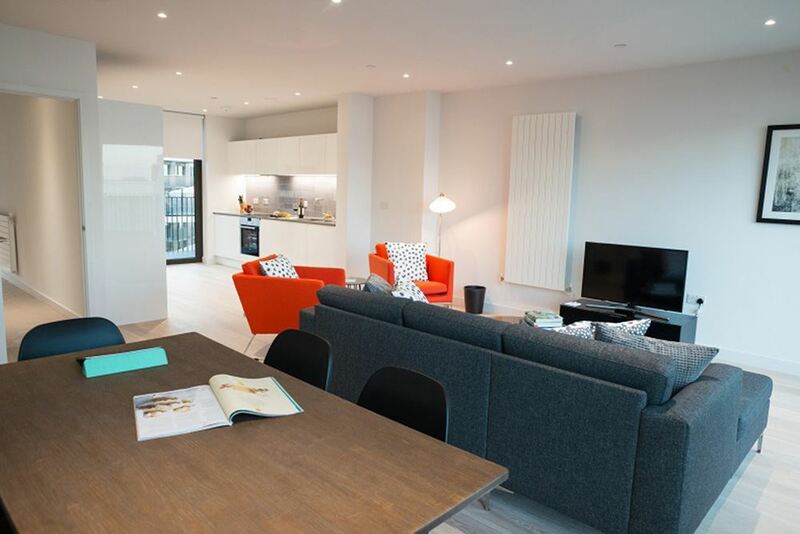 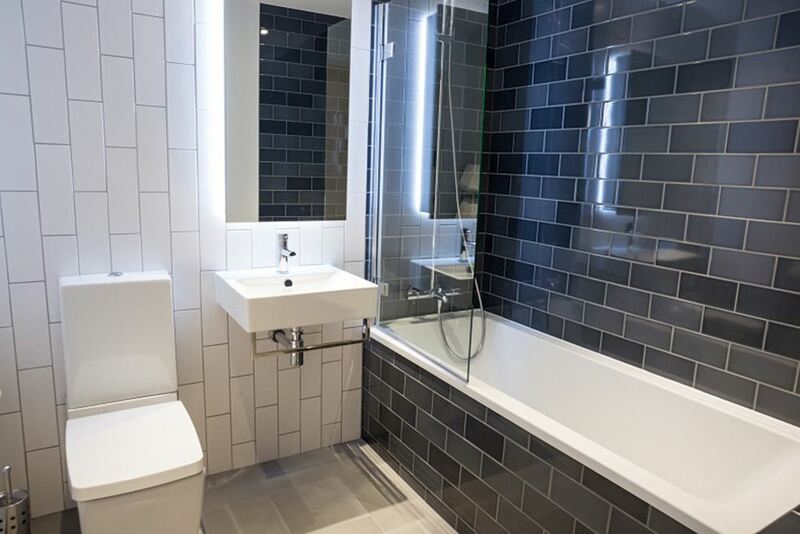 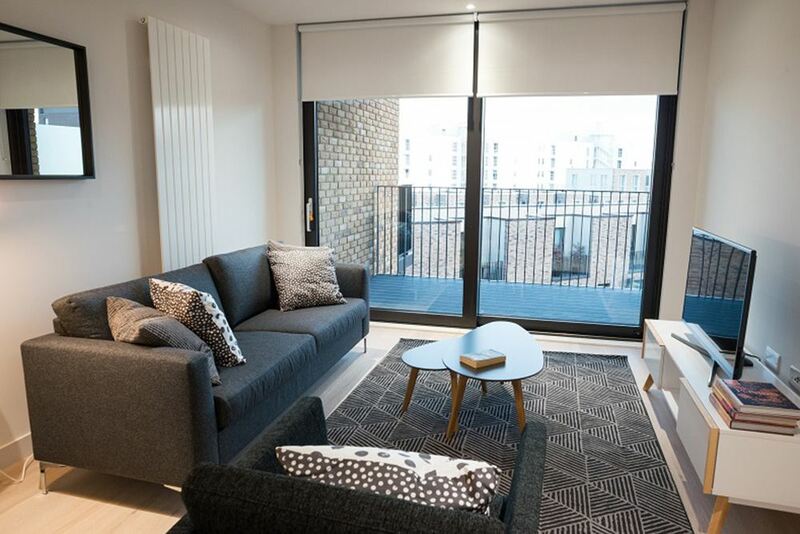 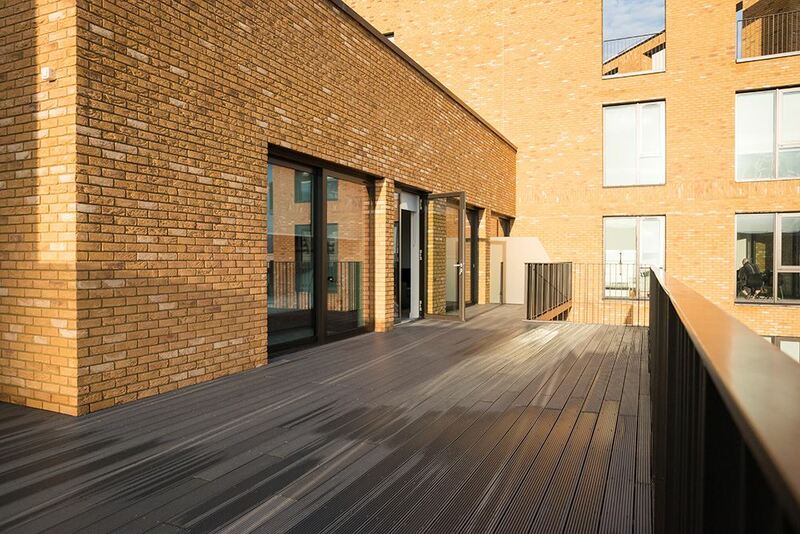 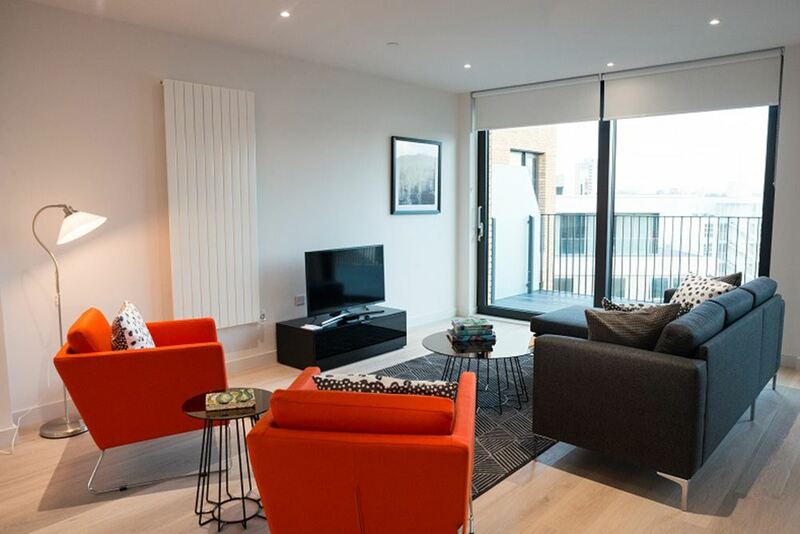 Masthead House Apartments are spaciously appointed with open plan living areas, contemporary furniture, bright accent furnishings, modern lighting, wooden flooring and floor to ceiling windows that would be the ideal base for a short or long stay in London. 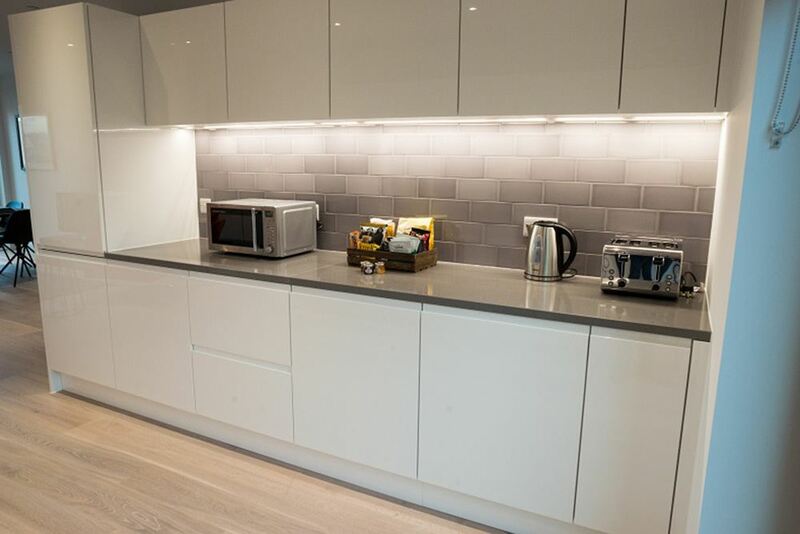 The apartments come with all the mod-cons you would need during your stay in-house and there is a regular weekly housekeeping service included as well. 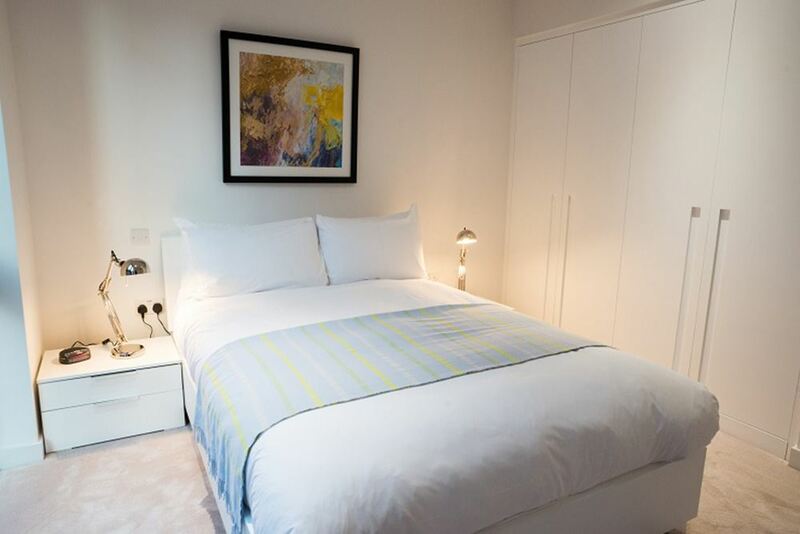 Wireless internet is complimentary and fresh linen and towels are provided. 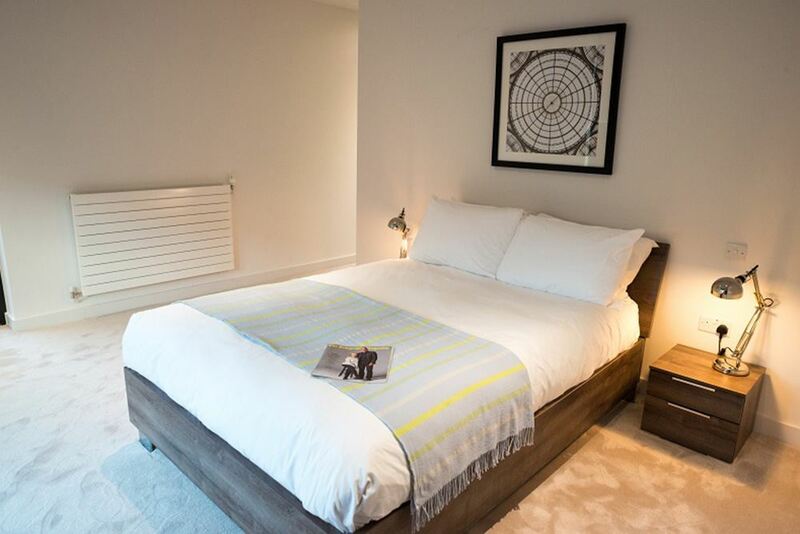 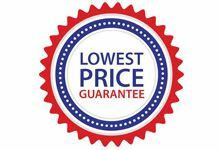 These apartments are managed by a professional company and give you the added peace of mind of a quality stay. 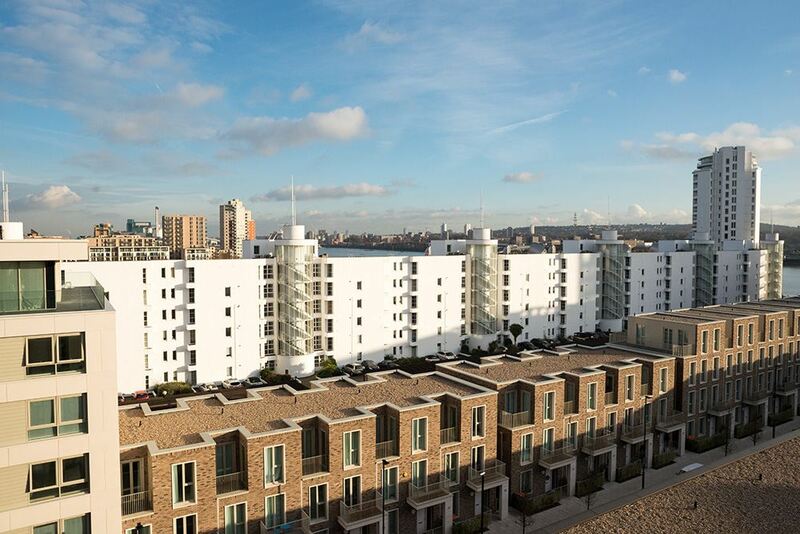 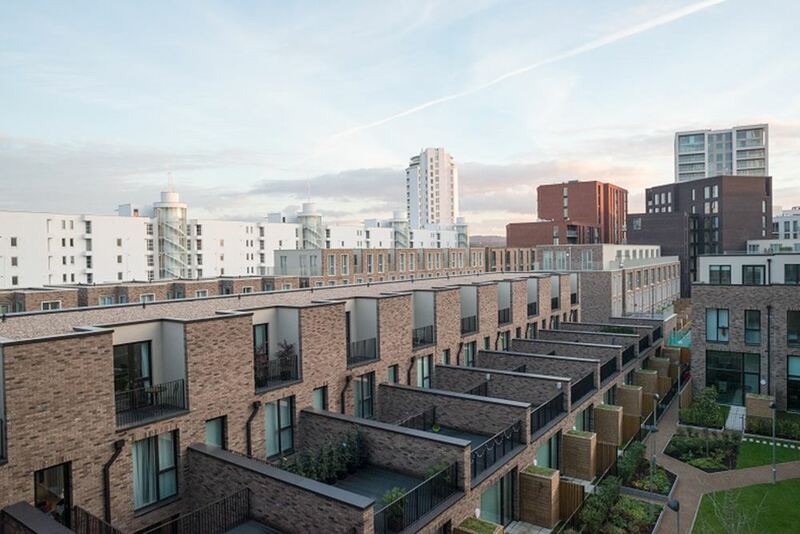 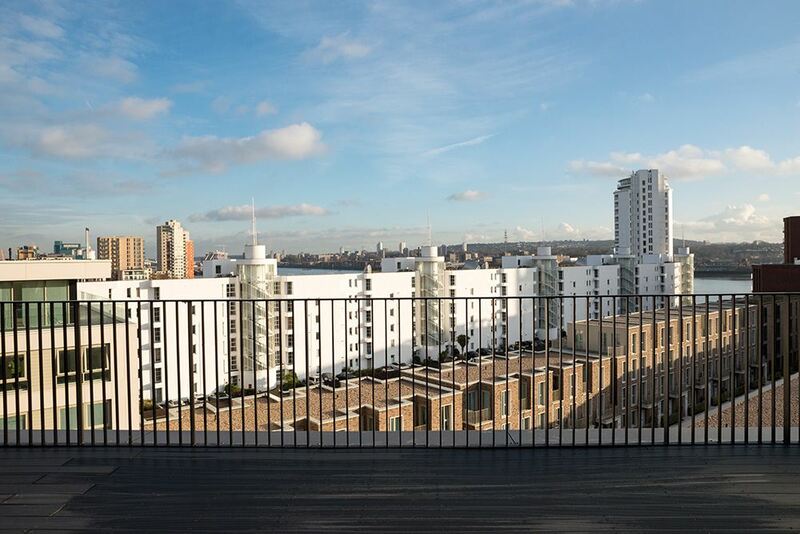 Some apartments also benefit from great outdoor balconies with views across the neighbourhood. 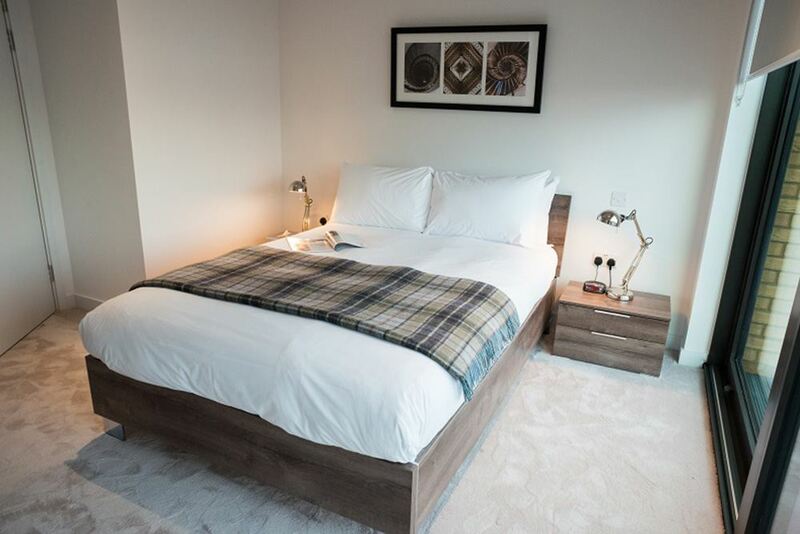 Sleeps four and has two separate bedrooms with double beds, two bathrooms, a fully equipped kitchen and a spacious living and dining area. 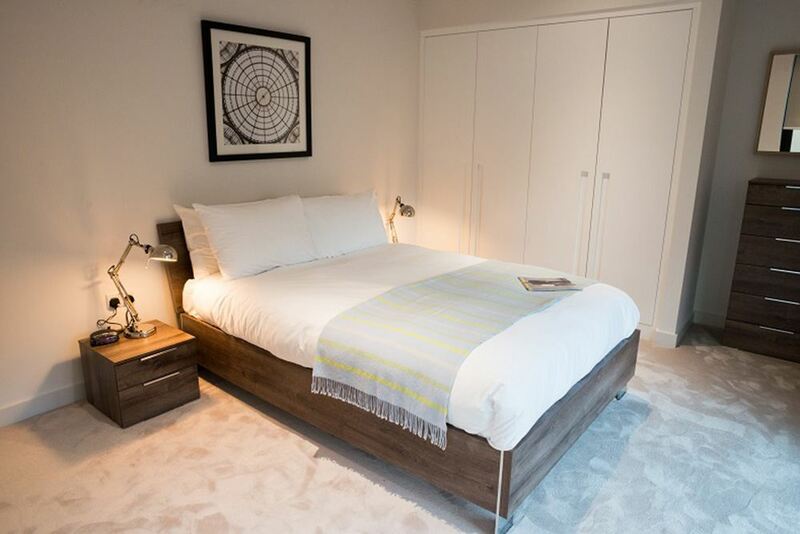 Sleeps six and has three separate bedrooms with double beds, three bathrooms, a fully equipped kitchen and a spacious living and dining area.